Morzine, Les Gets & St Jean d’Aulps are buzzing destinations in summer as well as winter. Unlike many other ski resorts they are year round villages, not purpose built resorts, and as such they lend themselves exceptionally well to summer mountain holidays. Mountain bikers, road cyclists and trail runners come to challenge themselves on the terrain here. Other holiday makers come to enjoy the beauty and peace of walking in the mountains, with the option of a lively restaurant or bar in the evening. Families come to keep kids entertained with the plethora of different activities, many of which are included on a card that’s just €2/day – there’s so much to choose from you’ll never hear “I’m bored”! 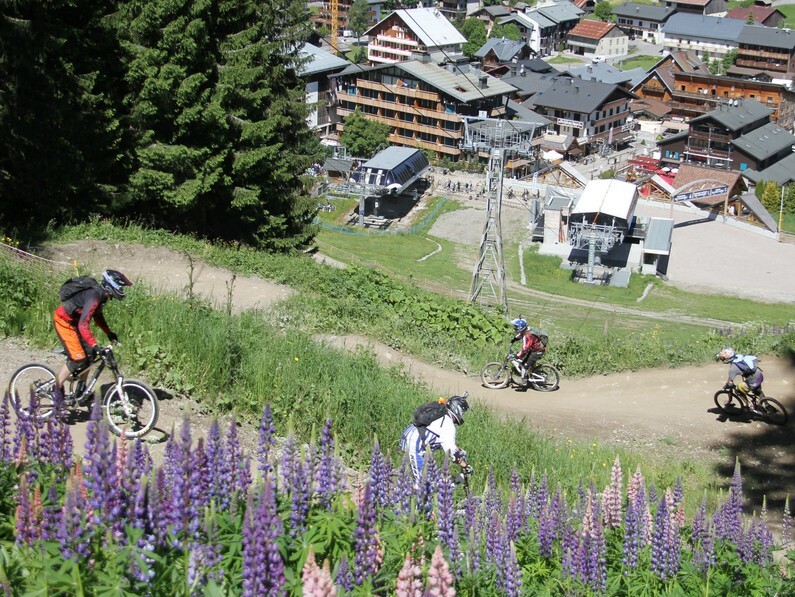 The Portes du Soleil has been one of the top destinations for summer mountain biking for many years now. The area was put on the MTB map when the World Championships were held in Les Gets in 2004. Morzine and Les Gets quickly became THE destination for British mountain bikers, as well as the French. Riders flocked here to take advantage of the huge lift system and the network of downhill trails. Every year more trails are added, all graded in the same way as ski runs, from green through to black. 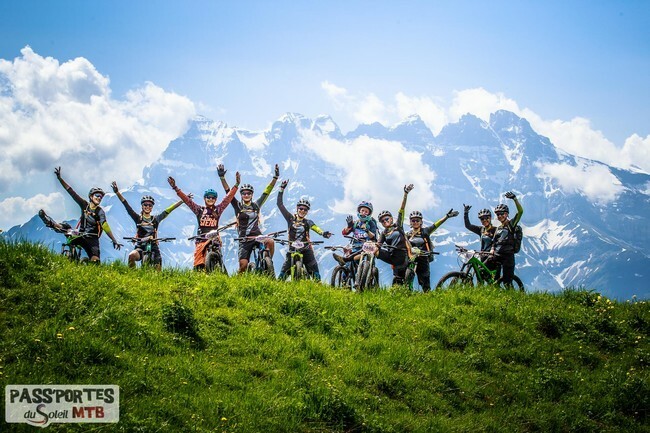 Read about mountain biking in the Portes du Soleil. It should be no surprise that the mountains are a good destination for hikers. 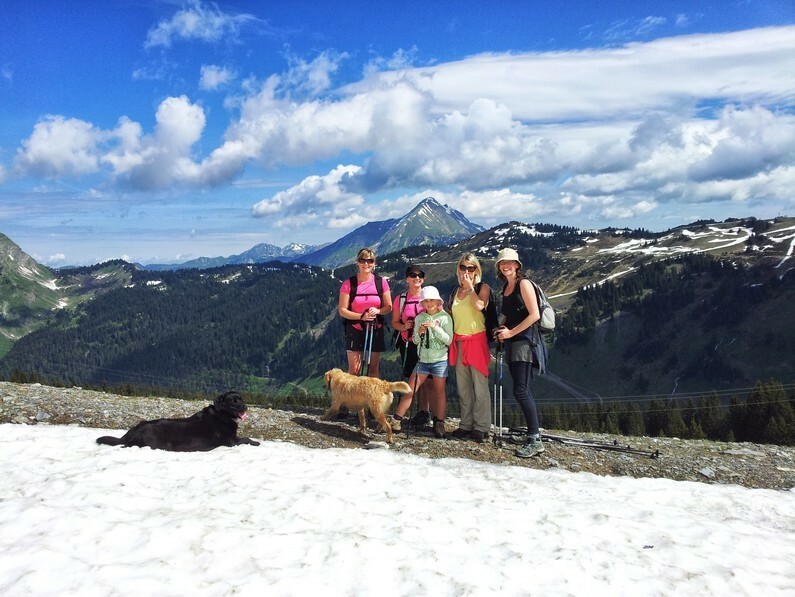 However, what we do often hear, is astonishment at just how much variety of hiking & walking there is and that there really is something for everyone. Of course there are incredible long walks far away from the crowds to deserted peaks. However, using the lift system means families (and anyone wanting an easier ride!) on a summer mountain holiday can get a help up the mountain for a walk high up taking in the views. Trail runners and climbers won’t be disappointed either. Find out more about Hiking, Trail Running & Climbing. In the past a mountain holiday was viewed as a potentially pricey trip, forking out for pool entry, lift passes and various activities. That all changed in 2009 with the Multipass. For just 2 euros a day you can get access to lifts, pools and numerous other activities, across all Portes du Soleil resorts. Many other activities offer a reduced rate to Multi Pass Holders. Just speak to Jo in advance so she can provide the vouchers you need to get this special rate. Find out what summer mountain activities are included in the Multi Pass. There’s a rich history of road cycling in the area. 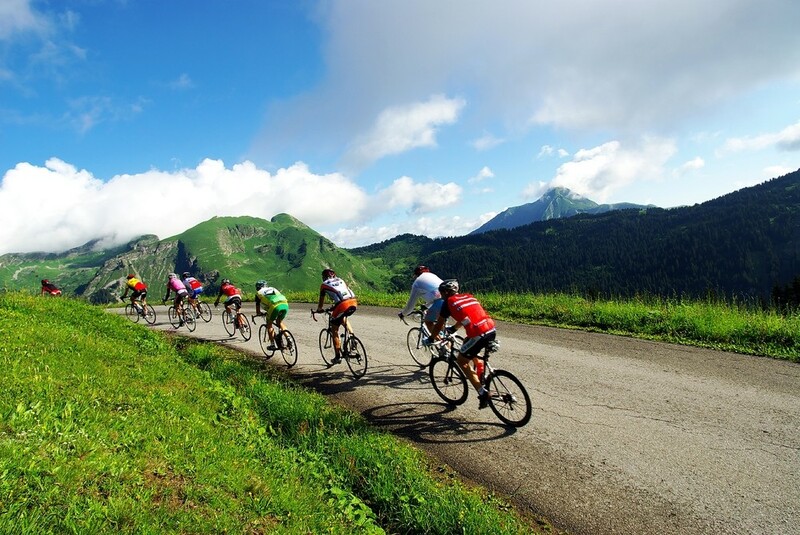 The Tour de France has had numerous stage starts and finishes in Morzine or Avoriaz. If you like bagging cols, you’ll find plenty around – 25 cols within 50 km! From the Col de Joux Verte, to the Joux Plane or Ramaz, you’ll be ticking off famous climbs every day. There are 15 mapped routes leaving from Morzine alone available to check out online or in a little printed guide. You can join guided and supported rides or head out alone following the signs and compare your strava stats to those of the pros! Find out more about road cycling. One things for sure on a summer mountain holiday, there’s never any excuse to say I’m bored! As well as the huge range of free things to do on the Multi Pass there’s an array of other activities to get your pulse racing… or alternatively calming! 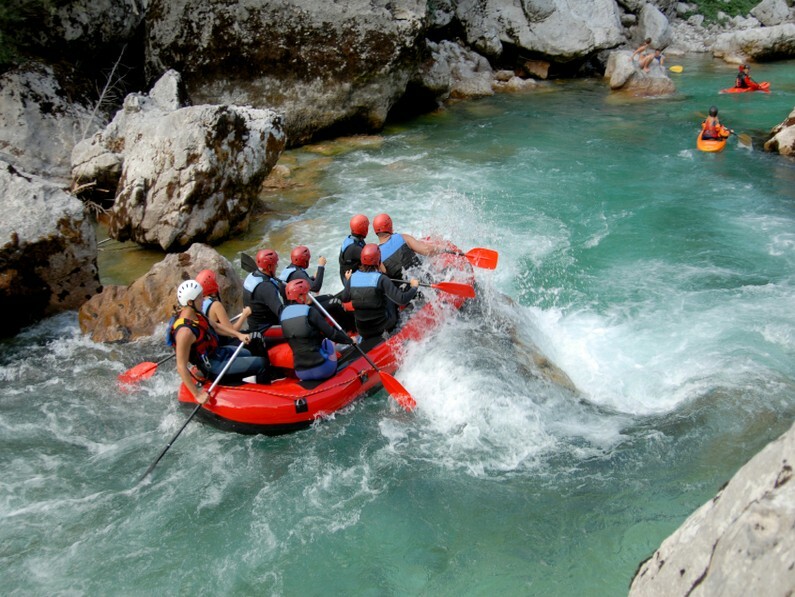 From rafting to high roped adventure parks, from horse riding to golf, from paragliding to spas… There really is something for everyone! Find out more about all the other activities on offer in the Portes du Soleil. The summer in Morzine, Les Gets and St Jean d’Aulps has an incredible array of different events. It really is worth checking out what’s on and seeing if you can time your holiday accordingly. From events for mountain bikers, to events for trail runners, to events for families, we’ve taken our pick of the most exciting summer mountain events. See what’s on this summer.